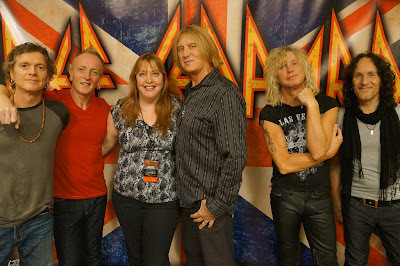 Me with Def Leppard at the VIP Meet & Greet. 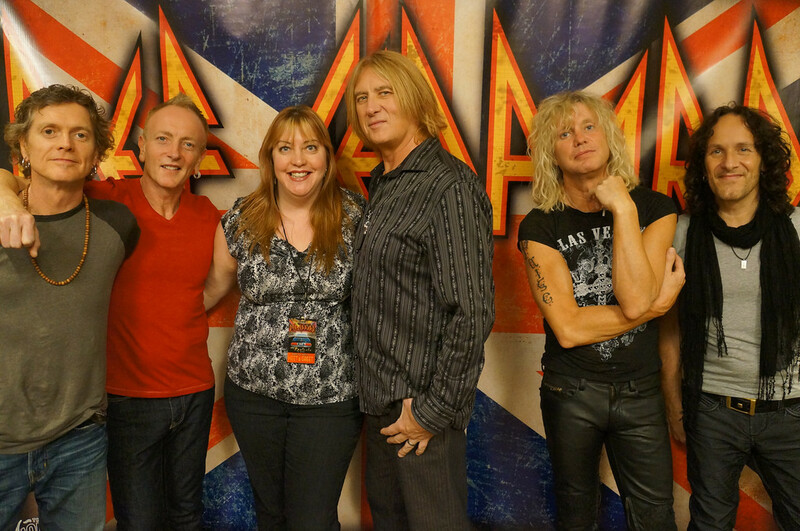 When I entered the room for my VIP Meet & Greet with Def Leppard in Las Vegas on April 3rd, it was pure euphoria. I was literally dancing on the spot in my brand new, red, Chuck Taylor sneakers as I stood facing the band. I was suddenly 12 years old again, and it was like my bedroom poster had come to life. 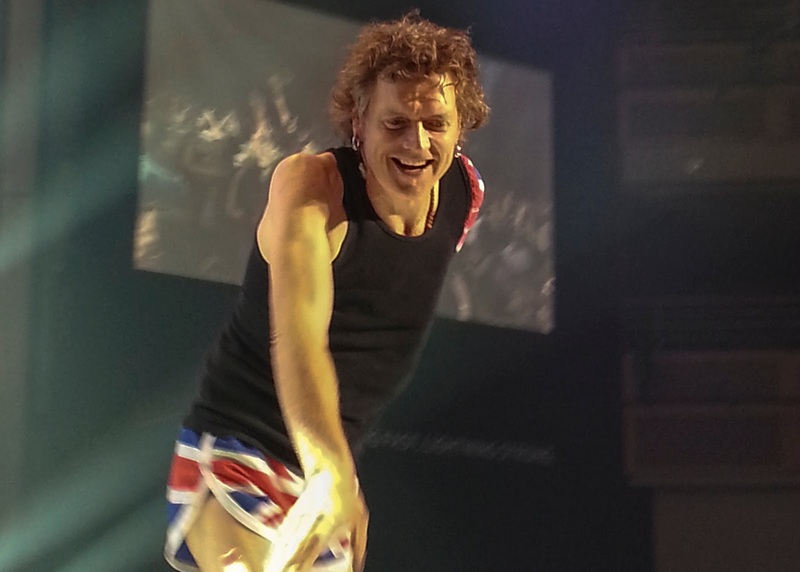 Those were also the first words out of my mouth, gaining me a chuckle from the band. I suddenly found myself telling them that I got married at the end of November and being able to fly down to Las Vegas for a couple days to do the VIP thing with them was a wedding gift from my husband. I guess because their music has been such a huge part of my life for over 30 years, I wanted to bring them up to speed on mine. 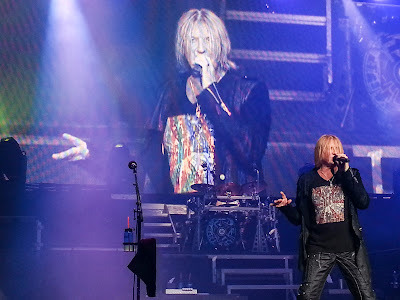 I think all music lovers have that one band that they consider "their" band, and Def Leppard is mine. I was 12 years old the first time I heard a Def Leppard song, "Foolin", and as silly as it sounds, my life changed. I discovered rock and metal music because of them, and back then, music wasn't just something you listened to, it was the way you dressed, your attitude and a part of you. As I walked up to the band I suddenly had a moment of clarity, and I stopped. I have a bad habit of saying out loud what I am thinking, and I did. I put my head down and said, "Wait, I have to say this" and getting a little teary eyed I said to the band, "Your music has been a friend to me since I was 12 years old." 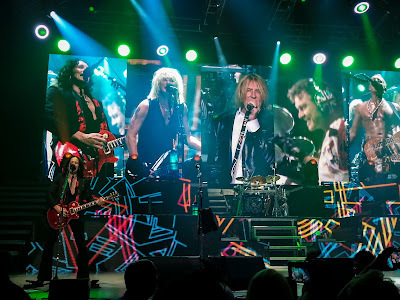 I spoke to them all, even telling them my most embarrassing moment, which happened to be with their drummer, Rick Allen, on the Hysteria Tour back in 1988 in Halifax, Nova Scotia. I've been lucky enough to meet a few members of the band over the years, but this was one of the most memorable, amazing and surreal experiences of my life, and I will never forget it. 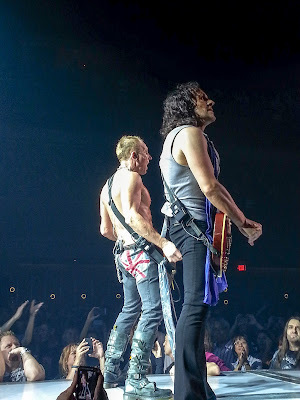 Please enjoy a few photos my friend, Brian, took at the awesome concert that night. 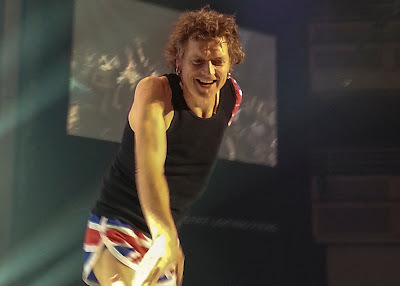 My favorite shot of the concert. Rick Savage, still as hot as ever! 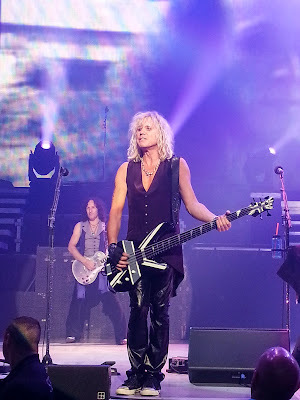 Rob's accepted my mad crush on Joe Elliot. I'm actually in this shot! Phil Collen and Vivian Campbell, the guitarists. 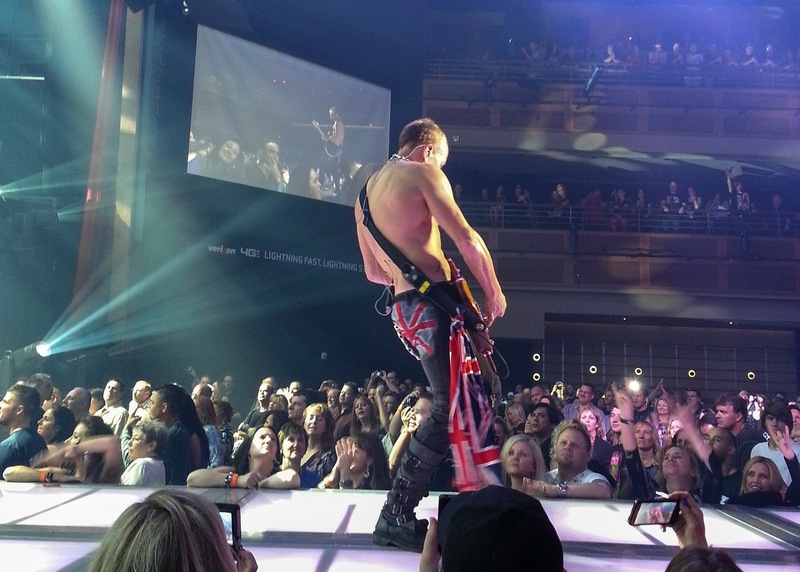 Labels: Def Leppard, VIP Nation Meet and Greet with Def Leppard. Awww, glad you enjoyed your M & G. I did as well. Love them! I really like your article, and your photos. Thanks!